Dr. Nor Ashikin Mokhtar graduated with distinction in Obsterics & Gynaecology in 1984 from National University Malaysia. She is a Fellow of the Royal College of Obstetricians & Gynaecologists of United Kingdom, Founder and Executive Chairman of PrimaNora Medical Centre and a Senior Consultant Obstetrician & Gynaecologist at Pantai Hospital, Kuala Lumpur, Malaysia. She is also a Board Certified Practitioner by International Hormone Society for Advance Hormone Therapy and Nutrigenomics practioner She had held various important positions in both governmental and private sector. Dr Nor Ashikin had built strong links with the Ministry of Women, Family and Community Development as the Co Chairman of the nationwide Nur Sejahtera Women’s Healthcare programme and was also director for the National Population and Family Development Board Malaysia as well as has commendable influence in the private health care environment. She is a sought after speaker involving in multiple forums & seminars, a passionate champion on women’s health issues appearing in various TV networks and radio talk shows in Malaysia. She has also written over 300 articles in the media press, primarily through her own column “Women’s World’ in The Star’s Fit for life Newspaper and Wanita Magazine for more than 10 years. Dr Nor Ashikin has also authored books on Breastfeeding and Women’s Health, as well as involved in a various studies on both men’s & women’s sexual health. Her passion for leading edge medicine has expanded beyond her medicine career to helping people who, like herself, realize the value of a proactive lifestyle. This is also clearly reflected in her dedication to the emerging field of age management medicine and anti aging medicine. She is a member of many professional organisations including A4M, ACNEM, AABRM, SAHAMM, Malaysian Menopause Society and OGSM. 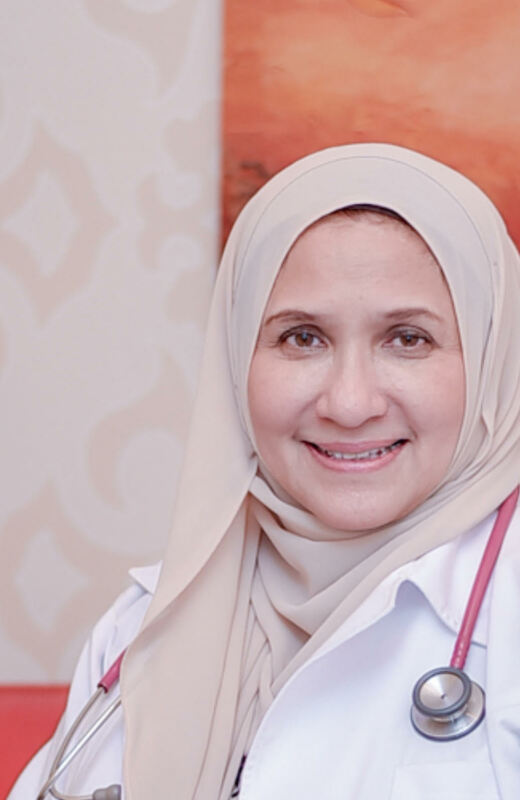 Datuk Dr Nora is uniquely focused to assist participants in a partnership to looking, feeling and living longer and better by delaying, preventing and reversing the signs and symptoms of aging.